February 18-25, We were in Uganda visiting On His Path projects. The first morning at the hotel, as usual I was up well ahead of the others, I was in the dining area enjoying my coffee. A group came in and sat at the big table next to me. 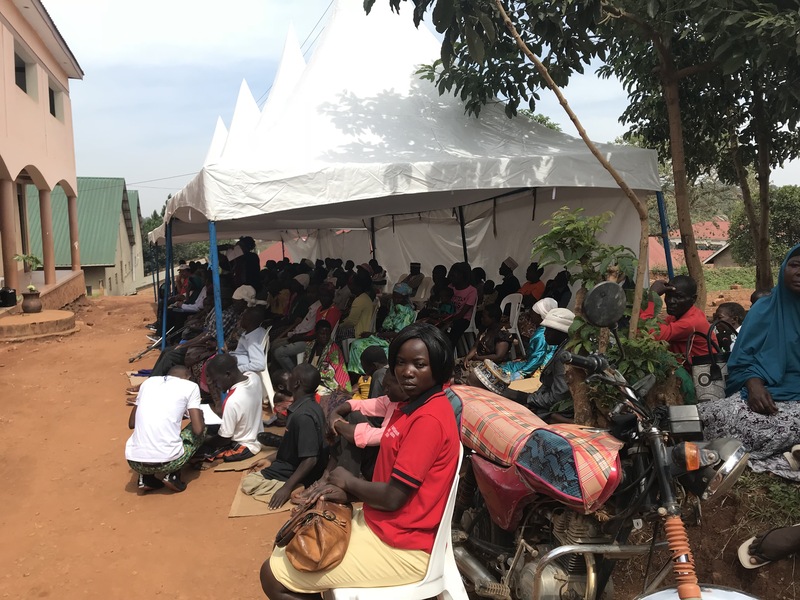 They were young Ugandan men and women. Many were wearing t shirts that said “it’s not about the wheels”. I knew instantly that this was a “Joni and friends Wheels for the World” shirt. I have one. 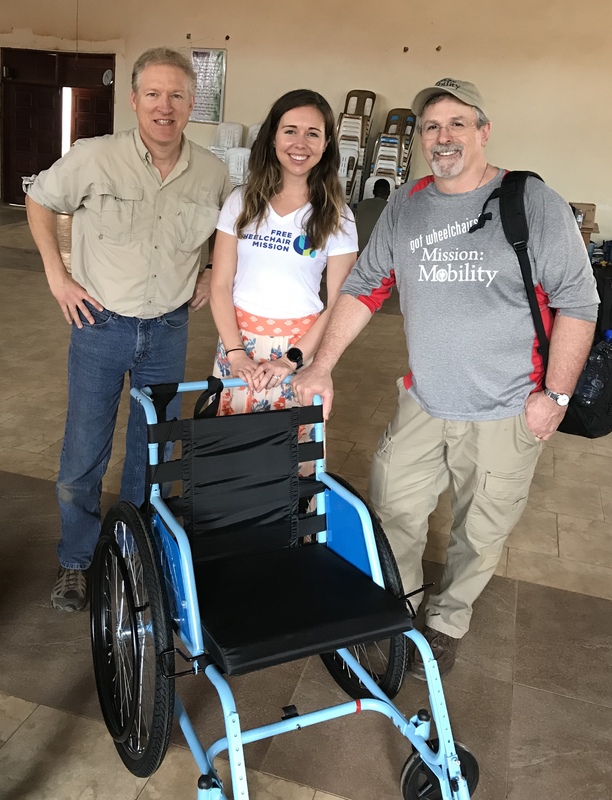 (JAF is a HUGE wheelchair ministry that topports wheelchair Ministries across the globe…including our friends at Bethel in Guatemala.) Moments later, the leader of this group entered the room…in his wheelchair. Not knowing a stranger, I initiated conversation with the group. The team had arrived the night before, as we did. They actually saw us as we checked in, with 2 wheelchairs that we had brought to give to Dr, Lucy’s clinic. They wondered “what’s up with them.” They were in the area for the week to prepare for a wheelchair distribution! REALLY??!! 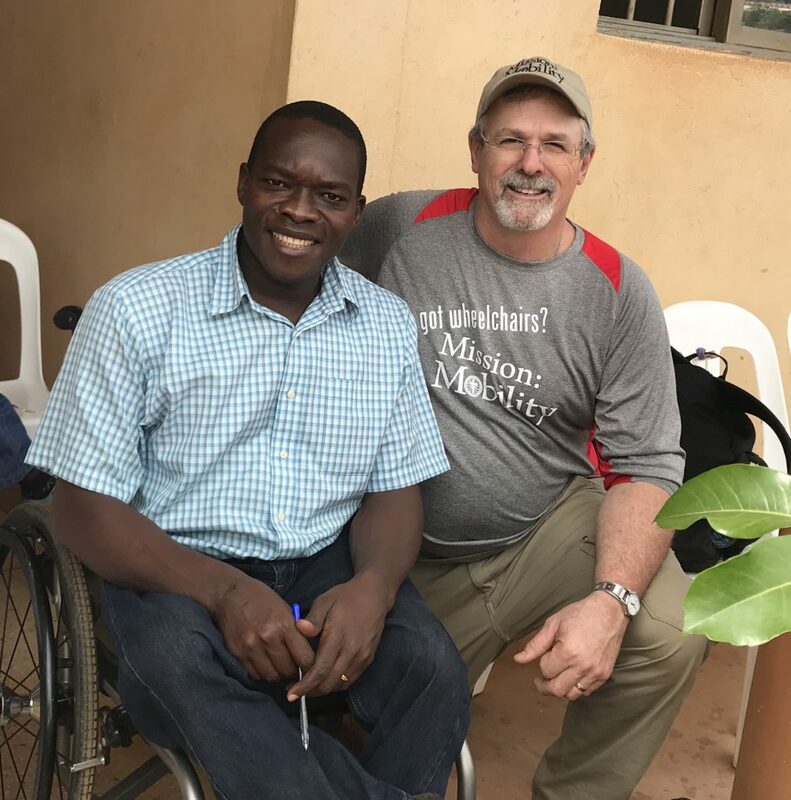 They were doing several days of preparation, training local volunteers in wheelchair assembly, fitting and more importantly how to share the Gospel in the process of fitting the wheelchair. Needless to say, I was excited! As the week progressed, we visited with Francis and his team at breakfast and again in the evenings. We learned more about their ministry. Father’s Heart Mobility Ministry. I especially appreciate Francis’ story….from their website. I was born in the central area of Uganda in 1978. I am the 2nd born of my parents; I come from a “small” family of 9! I have been very blessed to have both of my parents and they have always loved me and cared for me. In 2010 the Lord gave me the wonderful gift of Adrienne to be my wife. We now serve together along with our children. When I was 3 years old I got polio and have been unable to walk since that time. My parents tried to seek medical help for me but Uganda in those days was very unstable and good health care was not available. I was forced to crawl on my hands and knees to get around. I hated always being dirty. 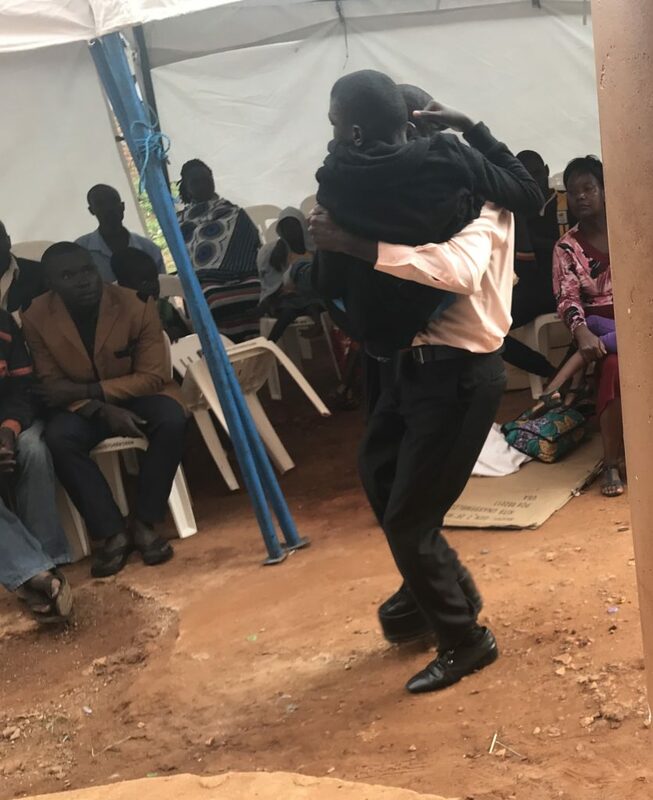 In Uganda people with disabilities are mocked and considered to be 2nd class or cursed. I hated the names they called me and stayed close to home where I was safe. When I was 8 years old my parents and my extended relatives tried to figure out what to do with me. Most 8 year olds should be in school but it was so far for me to crawl there and back. Some people did not think I was even worth educating since “cripples don’t amount to anything”. I am thankful that my parents loved me enough to decide that I could go to school. My father bought a bicycle, which was a luxury item in those days, for my older brother to use to take me to school and back. I am forever grateful to my older brother Fred. He tirelessly and selflessly struggled so I could have an education. Every morning he would take me to school on the back of the bicycle then after dropping me off he would ride it back home and walk himself to his school. We had to leave the bicycle at home during the day so no one would steal it. At mid-day my classes ended so he would leave his school, go home, pick up the bicycle, ride to my school, pick me up and take me home then he would walk back to his school for afternoon classes. He did this every day without complaining. We had fun riding a bike and also had our share of spills as the bike was so big Fred could hardly ride it! Meanwhile my dad made several trips with me to the capital city of Kampala looking for a wheelchair. These trips would take all day on the bad roads and there was a terrible post-war fuel shortage which made the trip very expensive as well. Many times my dad and I would go to yet another place he had heard might have a wheelchair. He would carry me on his back through town to get to some of the places. We inquired and knocked and asked and tried but we always came back disappointed. 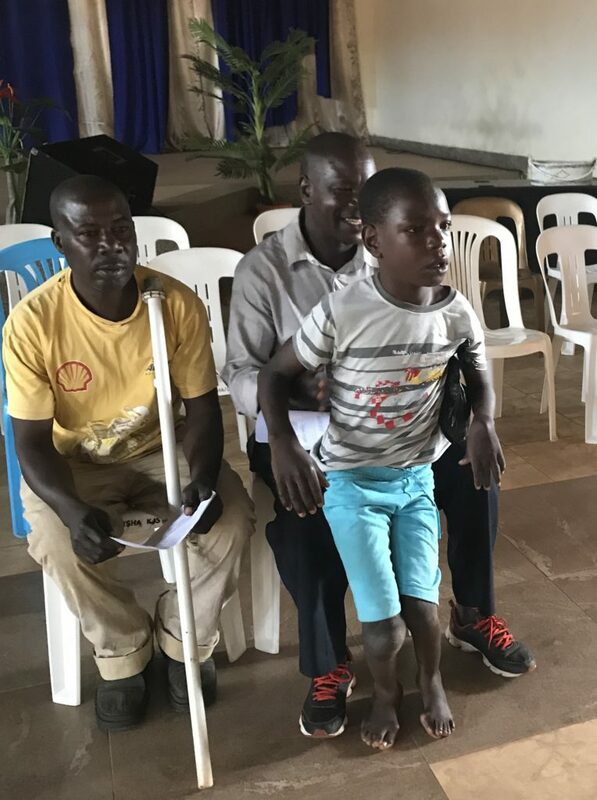 We tried for years to find a wheelchair but there didn’t seem to be any in Uganda! Finally our prayers were answered! 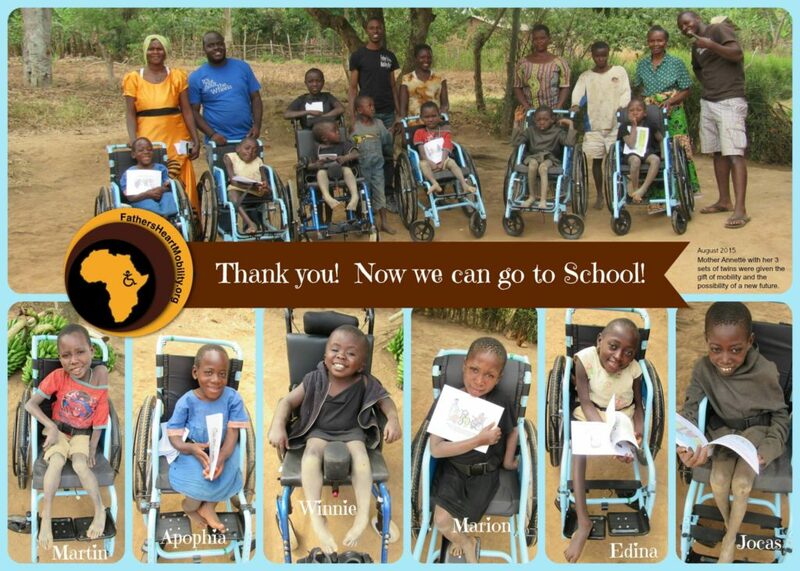 One day when I was 11 years old an organization that helps kids with disabilities miraculously gave me a wheelchair! My life dramatically changed that day! Now I have my freedom to move around! Now I can participate in society like everyone else. I could go to school. I could go watch football games. I could go to church. This gift began to change my identity. Growing up I started to believe what everyone said about me. I believed I was useless and crippled. But then with my new wheelchair I began to go to church and my life dramatically changed again! I asked my youth pastor why he always was smiling. He told me it was “this Jesus of mine” and I told him I wanted Jesus too then! I wanted the joy that he had. I accepted Jesus as my personal Saviour when I was 12 years old and God gave me my smile! Throughout the next several years the Lord blessed me with discipleship from a godly man who taught me what the Bible has to say about my true identity. God knit all the parts of my body together and created me wonderfully (PS139); He made me in His image (Gen1:27); and best of all He has planned for me to be His very own son. I am a child of God! He is my Father. Today I am compelled to share the love of the Father with those who do not know Him yet. God alone can change their lives! And I am compelled to give mobility to those who are right now still crawling in the dirt. I cannot sit idly by, I must use whatever the Lord has given me to be a blessing to someone. There are over 2.5 million people with disabilities in Uganda still living in the mud, still thinking they are cursed, still hopeless. We have been given the wonderful opportunity of making a difference in their lives! Will you join us? Francis told me that their ministry hosts 1 distribution each month all over the country. They provide a free wheelchair to the needy. Last year their ministry fitted 2000 wheelchairs! Their ministry is supported my many churches in the US and Canada. 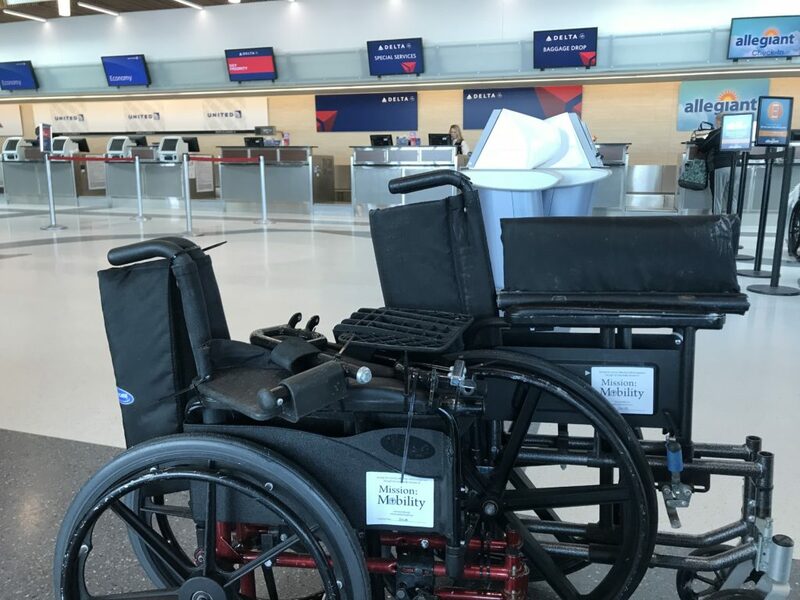 They receive a few wheelchairs from Wheels for the World, and receive the majority of their chairs from Free Wheelchair Mission, based in California. FWM manufacturers wheelchairs (in Chin) for international distribution. Molly from FWM was at the event to represent the company and help with the event. John and I exchanged alot of ideas and discussed wheelchair designs with Molly. There are no coincidences in life. Some may say, “that was really a lucky coincidence that you met them,”. No way! God had this planned all along! Friday we actually had a free day for doing a few touristy things. This opened the door for us to attend the wheelchair distribution, that was 10 minutes from our hotel! When I arrived, what I saw was oddly familiar. Families were arriving, carrying their loved ones. 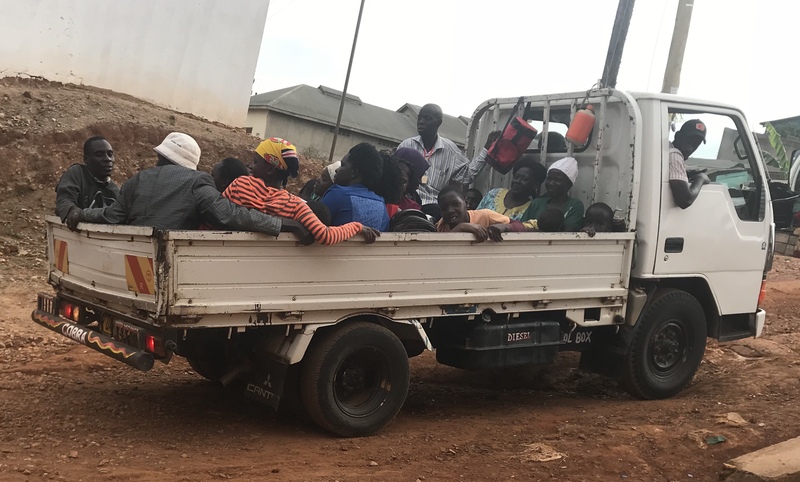 There was a truck that backed in…..the back filled with people coming to receive their wheelchairs! I helped unload and carry the kids to their seats. Inside the building the team was setting up their fitting stations. 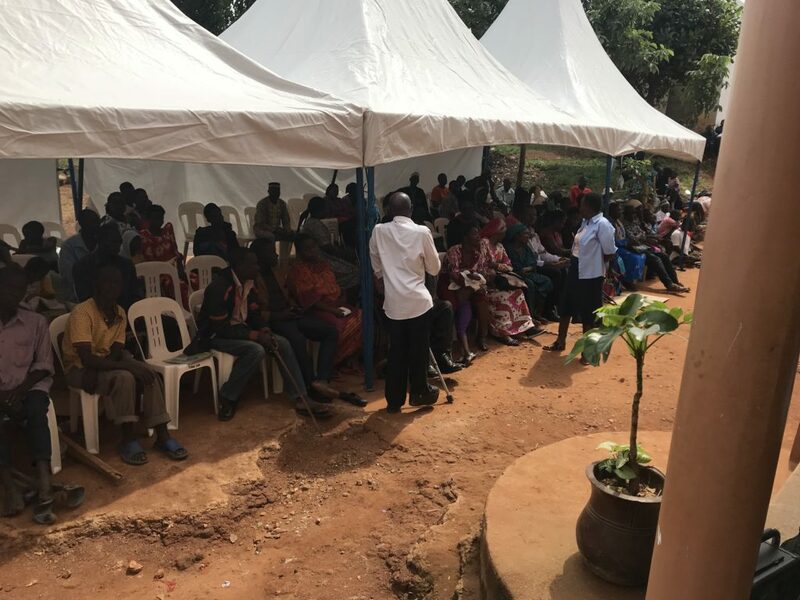 Outside, a tent was set up to shield the recipients from the sun, as they waited. Francis then gave a message to the people. He told them what was to happen today and also how God was to receive the Glory for their new wheelchair. The people then would be called inside to be fitted in their free wheelchair. 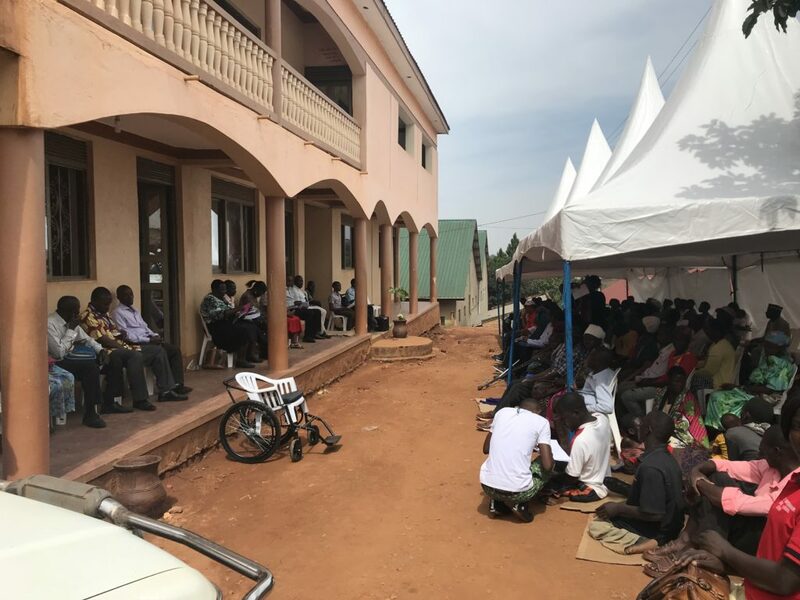 After fitting, they had the opportunity to meet with local pastors, where they could receive a Bible and hear more about the Gospel. MANY accepted the Lord at this, and all, events. Again….,this was soooo familiar! That evening, I spoke with Francis about his format….the message, the fitting, the pastors. I asked if he got this format idea from Joni and friends. No, he said from the beginning, this was how he did it. God provided this format. What was an AWESOME revelation was…. this format is EXACTLY the same as Bethel Ministries International’s at at the distributions in Guatemala! From the moment I met Francis I could tell he was also very genuine in his mission. HE told me a story that truly confirmed this! Francis told me a big company liked what they were doing in providing mobility to the needy. He said they offered to provide significant financial support and send teams down to support his team in fittings at the distributions. They had one stipulation…..That when they came to help, he must omit the Gospel focus. Francis said he told them, “We need the support, and the people need the chairs….but they need the Gospel as much or more. No thank you!” AMEN! So then, dear brothers and sisters, be firm. Do not be moved! knowing that your labor is not in vain in the Lord. This entry was posted in Uncategorized on March 31, 2018 by rfultonmission.